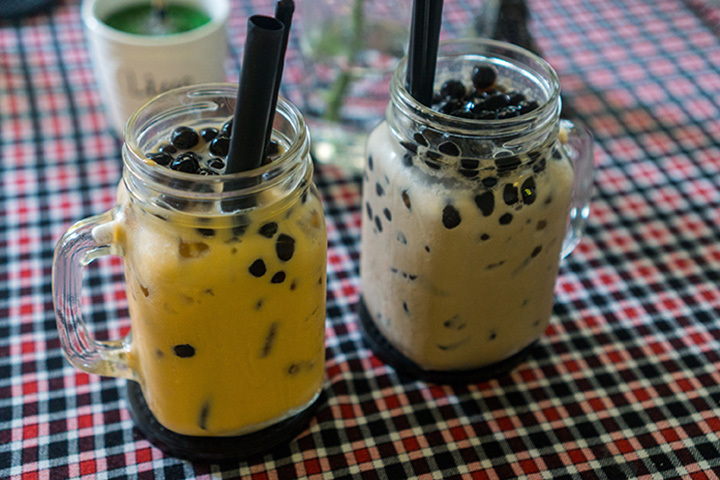 The 10 Best Places for Bubble Tea in Tennessee! Have you experienced the pure joy of bubble tea in Tennessee yet? There’s nothing quite like it. This whimsical drink has made its way to Tennessee from Taiwan, giving traditional southern sweet tea plenty of competition. Recognized by the bright little tapioca balls that fill the bottom of the cup, this amazing drink is as beautiful as they come. Grab one for yourself and see what you’ve been missing at these 10 best places for bubble tea in Tennessee. If you’re looking for the best variety, Blooming Bubble Tea has no shortage. Their 100 flavors span from exotic like lychee and guava to fruity like watermelon or peach. Add a bit of flair to your tea with tapioca pearls or jelly cubes to create a drink that’s rich in both texture and flavor. There’s no such thing as a bad bubble tea here. This newcomer to the Nashville area is already making a splash with its powder-free bubble tea and all the fixings. They specialize in bubble tea and know how to make it in the best possible way. Their fans know they’re the real deal when it comes to getting an authentic experience just like you’d find in Taiwan. Part bubble tea shop, part Cantonese restaurant, you’ll get the best of the food and drink worlds in a single stop. Head in to grab one of the cutest bubble teas you’ll ever see, served up in a sweetly decorated cup that will make you swoon. It’s the best bubble tea in town, hands down. Don’t let the name mislead you—these guys don’t just speak mocha. Their bubble tea is a favorite among their fans because it provides an out of the ordinary experience. In fact, this place offers plenty in terms of adventure cuisine (try the banh-mi, another Asian favorite!) so you could make it a meal and find a few new favorite flavors. As the name implies, this is a local’s favorite spot to kick back and relax, and there’s no better way to do it than with a cup of bubble tea in your hand. They’re well known in the area for their delicious bubble tea, offering over 20 flavors to suit every palate. You’ll want to try them all. Dedicated to all things boba tea and art, this place takes their craft seriously. They’re the total package, combining a great atmosphere with friendly folks and seemingly infinite drink options. They’re not open every day, so make sure you check their hours before you make the trip. Offering some of the best Korean, Vietnamese, and Boba flavors this side of the Pacific, Chopstix is the area’s headquarters for the best boba tea. Get your milk tea in its traditional form or as a slushie, then top it with their coveted grass jelly, boba, or rainbow jelly to complete your experience. They also offer an enticing selection of yogurt tea—a totally unique drink unlike anything you’ve ever tried! Providing a rainbow of bubble tea choices, Simply Thai keeps it simple yet tasty. These beautiful teas make the perfect dessert or complement to your meal. No matter how you order it, you’ll just be glad you did. This charming little yogurt shop has a secret: they’re bursting with bubble tea! The QQ is Chinese slang for “chewy” which is perfectly befitting for a delicious bubble tea and their iconic tapioca pearls. They look almost too good to drink (and totally Instagram-worthy!). This wonderful little shop combines two favorite treats from the Asian homeland: rolled ice cream and bubble tea! You can get it frozen or traditional, whatever suits your fancy. Truth be told, it will be a hard choice between the tea and the masterfully crafted rolls of ice cream, and it’s totally acceptable to get both in one trip.